Buy mdflyn a Coffee. ko-fi.com/mdflyn - Ko-fi ❤️ Where creators get paid by fans, with a 'Buy Me a Coffee' button. 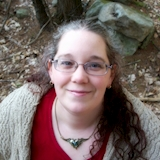 I am a speculative fiction writer whose stories explore themes of connection, individuality, belonging, and empowerment. My work encourages the misfits to stop trying to fit. My interests span from a steampunk frolic to post-apocalyptic decay, with a healthy dose of sarcasm. Stories with optimism and playful dark humor. All donations will be used to help hone my craft, I have many books to read. My stretch goal right now is attending a local one-day workshop. Occasionally a chocolate splurge may be required. I intend to start a Patreon once my writerly business plan is in place. Secured Payments. Support goes to mdflyn's account. Upgrade mdflyn to a yearly Gold Membership with a one-time payment.